When I first started training for ultrarunning, I hit a series of stumbling blocks that slowed my progress reach to a level of fitness that allowed relative ease in running extreme distances. Truthfully, running over 5 hours is never really “comfortable” but I’ve found that over the years, a combination of consistent training, balanced hydration/nutrition, and relaxation of the mind has allowed me to feel quite unaware of any discomfort a vast majority of the time. As a coach of new ultrarunners, I’m constantly reminded that reaching a level of comfort is not achieved easily. I often find myself giving much of the same advice to my clients as they move through the various stages of running fitness in a quest to complete their first 50-100 mile run. These topics are often related to training mileage/time and nutritional intake before, during, and after running. I am energized a few months later when I hear from these athletes that they have made such significant progress using the methods or suggestions I provided. In truth, this feedback has become one of the most inspiring things for me as I strive for my personal athletic goals. This will be a series of articles related to common questions/topics discussed with new ultrarunners during my coaching sessions. 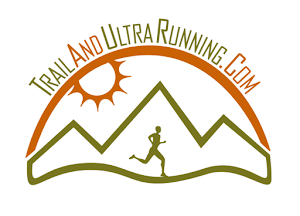 These posts are aimed at an audience of new ultrarunners, who are working toward their first successful ultramarathon. If you find this information helpful and would like to set up a consultation, you can find the link for a 1 hour consult on the right side under “coaching”. As always, run long and prosper.